This past weekend, Lead Teachers and Principal Monge headed to the Windy City for EL National Conference. Hundreds of other educators met us there on a mission to improve the quality of education for all of our students. For many of us this was our first EL Conference and we all left blown away. We had the pleasure of picking the brains of Master Teachers, hearing the success stories of EL students, and collaborating with other educators from across the country. We were able to choose from several topics that ranged from group work in mathematics, to creating meaningful mindfulness experiences, building blocks of building culture, and how to use exemplary student work to elevate our students’ learning. These sessions allowed us to expand our “teacher tool box” in a way that is sure to impact the DAA community. 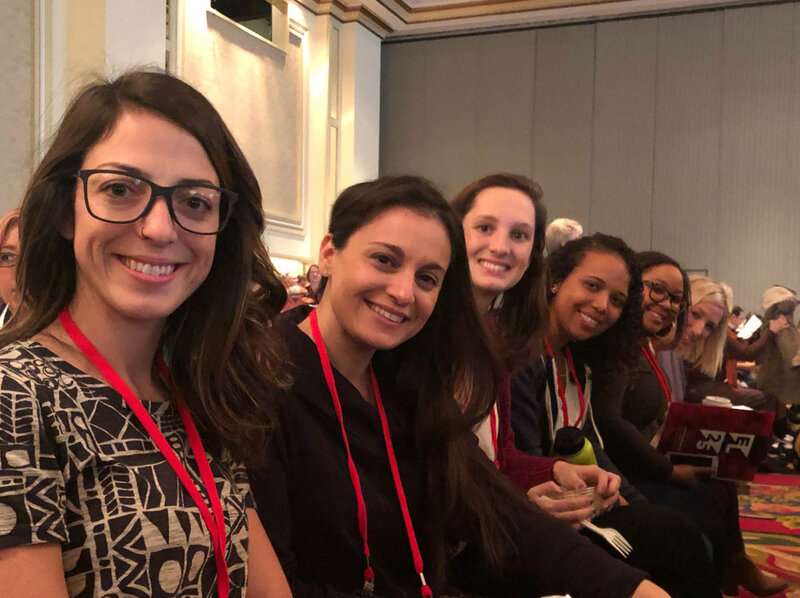 Because all of the Lead teachers at DAA attended the conference, we were all able to attend several different sessions and share the resources. These Master Teachers shared their ideas, experiences, projects and resources with us. Furthermore, we were able to debrief amongst our grade level partners and many of us are in the planning phase of getting these new ideas up and running here at DAA. One of the sessions that I attended was focused on how to meet students on their independent achievement level. This session helped me to think about how to individualize the work that students are currently doing. One teacher at the session shared resources on the Khan academy website with us. This website is a free online resource that allows students to learn anytime, anywhere, with material that is uniquely appropriate for them. Students can explore new topics and strengthen their math skills by using interactive practice and tutorials. I am so excited to implement this into our daily practice. Feel free to roam the site and create a parent account for your child. Don’t worry, Khan academy isn’t just for math. Check out all of their available subjects today at khanacademy.org!